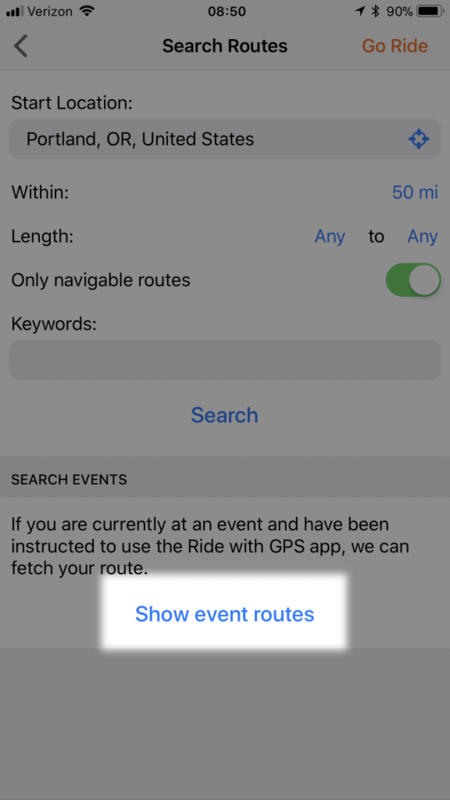 If you are at an event that uses Ride with GPS to plan their routes, you can now find those event routes from your iPhone or Android device by following these steps. 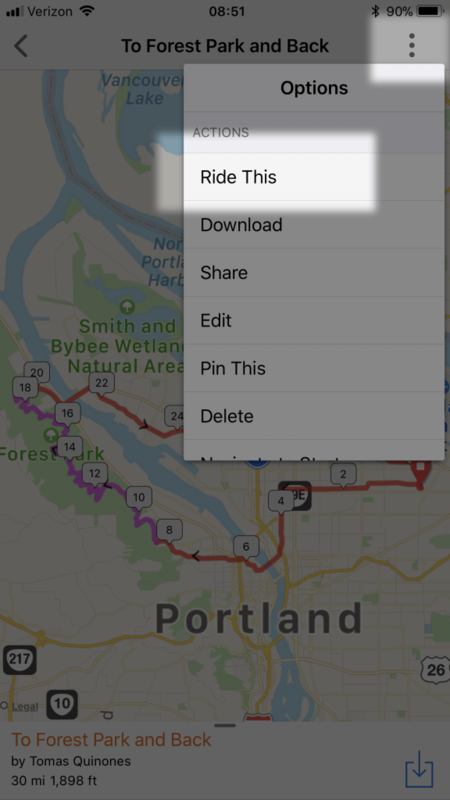 Starter accounts can read the route for free while Basic and Premium members can get turn-by-turn voice navigation. Additionally, some events will have the turn-by-turn voice navigation feature unlocked for any membership level. Tap the icon in the upper left corner of the app. At the very bottom of the search screen, there is a section about events. Depending on your phone model, you may have to scroll down a bit to see this search button. Tap the crosshairs to find your current location. 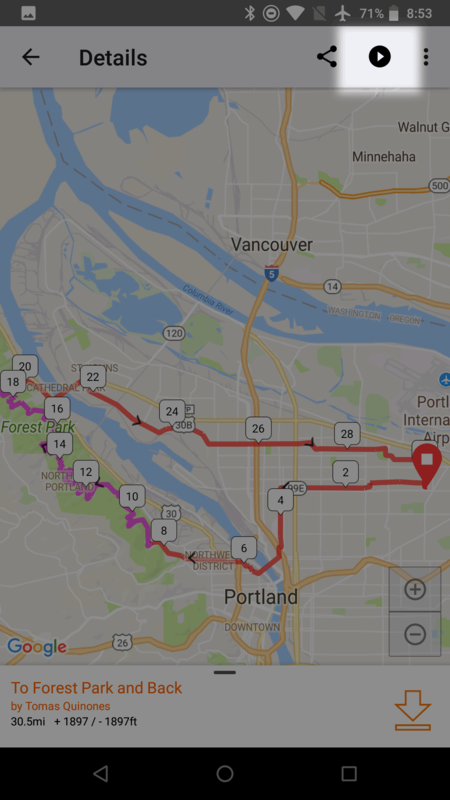 We will return all routes associated with an event page on our website. 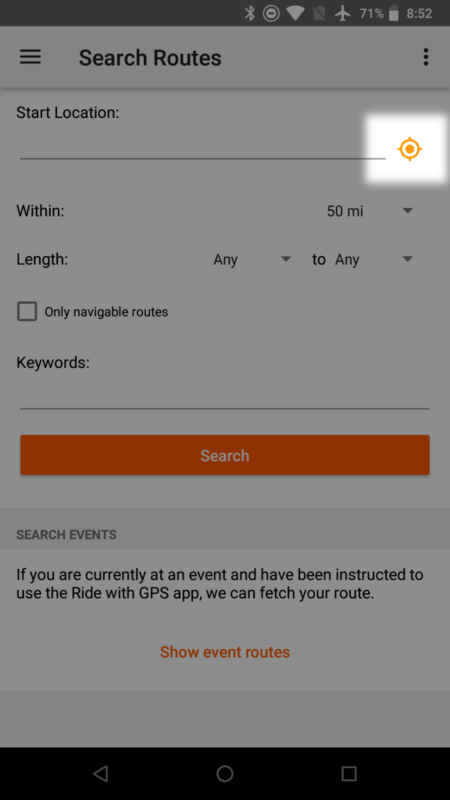 Any event routes that start within 20 miles of your current location and within 5 days before or after the event date will be displayed. For riders that have a Basic or Premium membership level on Ride with GPS, or are participants in an event that has turn-by-turn voice navigation unlocked, follow the steps below to launch the navigation. 1. Get the app. If you don’t already have it see above. 2. 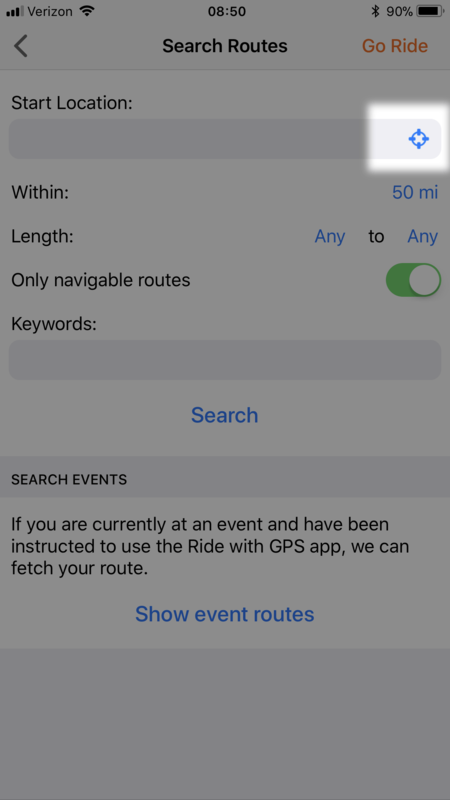 Select the route you will be riding when we fetch the event routes. This will load it on the screen. 3. Activate turn-by-turn voice navigation. 5. Upload your ride. When you are done riding, press and hold the Pause button to save your recorded ride. Your ride will automatically uploaded to our website. If you would like more information on planning an event page or sharing the navigation feature on the mobile app, make it official! 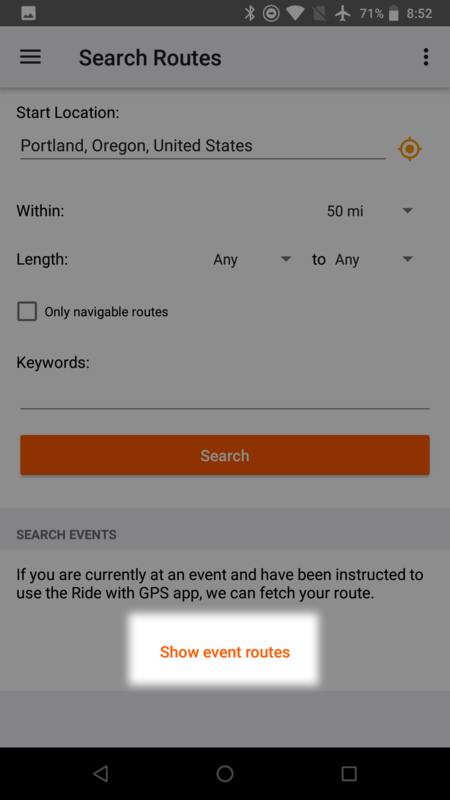 Contact events@ridewithgps.com to make it happen.